When you fly through certain airports, you might be surprised at who or what you end up interacting with or encountering. Some airports are using robots to handle various tasks, from guiding passengers to gates to watching for suspicious activity. Find out more about these airport robots and the kinds of jobs they’re programmed to do. At Incheon Airport in South Korea, LG Electronics has been testing the Airport Cleaning Robot. This robot comes equipped with vacuuming abilities, as well as sensors that help it find areas that need cleaning. 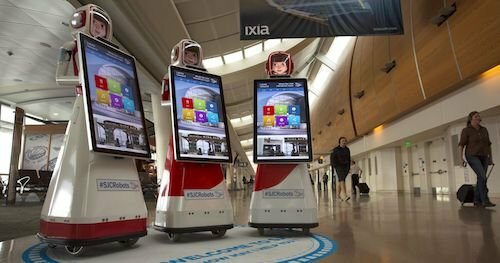 Some airports are using robots to handle customer service tasks, such as showing passengers to their departure gate and providing them with information about their flight or the airport. 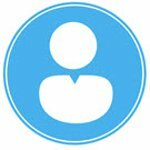 KLM Airlines is testing the Care-E robot, which scans boarding passes, takes passengers to their gate and even carries their luggage for them. Schiphol Airport offers a similar service with the Spencer passenger guidance robot. 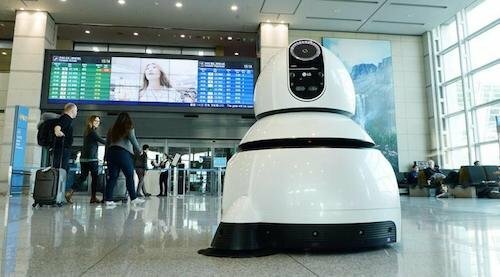 At Incheon Airport in South Korea, LG Electronics is putting their LG Airport Guide Robot to use to make it easier for passengers to get to where they need to go. Not all customer service robots focus on guiding passengers and scanning boarding passes. At Austin-Bergstrom International Airport, Coffee Haus robots are being used to make sure passengers have access to a freshly made cup of coffee at anytime. Passengers can order ahead of time using an app, then provide a code to pick up their coffee in a designated area. 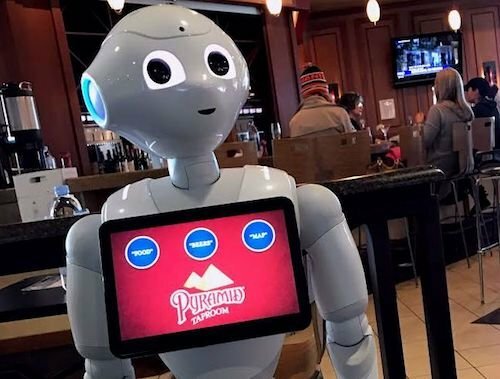 At Oakland Airport, the Pepper waiter robot provides passengers with help in selecting food and beverages and takes their orders. This robot can also answer questions and provide passengers with other airport information. Pepper has also appeared in airports in other parts of the world, as well as in hospitals and other facilities in the U.S. If you fly through Mineta San Jose Airport, you might come across a trio of Future Robot’s singing and dancing robots. Named Norma, Piper and Amelia, these robots are programmed to make airport waits more amusing for passengers by entertaining them. The robots can even take a selfie with you and send it to you as a keepsake. Some airports are turning to robots to help out with security measures. At New York’s LaGuardia Airport, the B-3P0 security robot wanders through different areas evaluating people’s body language and taking other factors into consideration in order to check for suspicious behavior. The robot alerts security personnel at the airport if it comes across any potential problems. 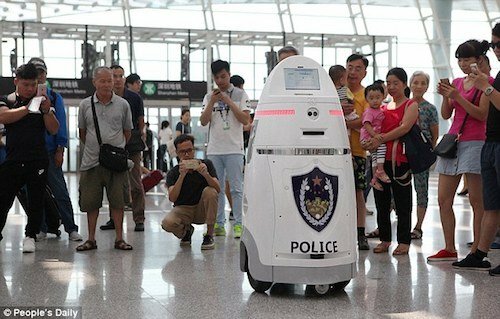 At Shenzhen Bao’an Airport in China, robots take a slightly more drastic measure to ensure airport safety. The Anbots at this airport patrol various areas looking for any signs of potential criminal activity. They’re also equipped with Taser technology that can be used on suspicious individuals. While this might seem alarming, the Anbots can’t actually fire the Tasers on their own. The Tasers are controlled by officials in the airport’s security office. Robots haven’t quite taken over airports yet, but you could start seeing more and more of them in the near future. 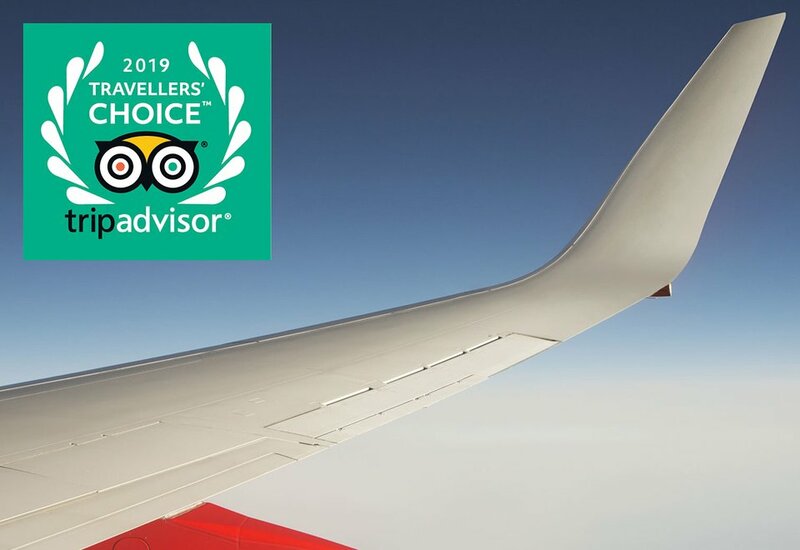 Robotics manufacturers are partnering with airports and airlines to put their creations to the test and try to make travel more pleasant and less stressful for passengers.